I'm growing very tired of this perception that if you care about people who have Down Syndrome then you can't be Pro-Choice. 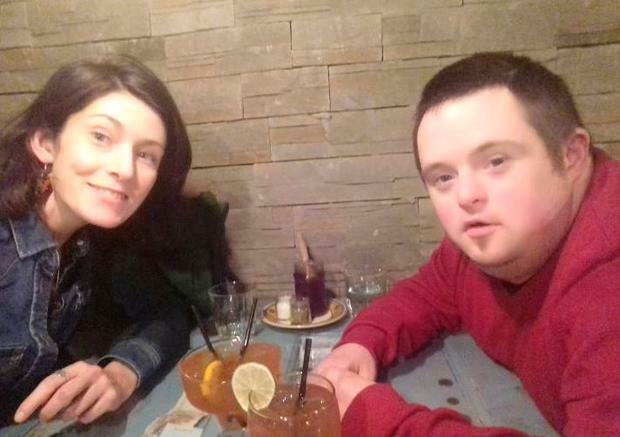 My brother John, who happens to have Down Syndrome, has taught me more about life than any university could ever teach me. From a very young age, he's taught me that life is not fair and that some people are treated differently, that they are treated like second class citizens. Because of this, he's also taught me to stand up for equality and for human rights and to fight for a more just society where everyone's circumstances and choices are respected. John and I believe that people should be given the opportunity to make choices about how to live their life. We understand that current systems often fail people and, because of this, I campaign to reverse laws and systems that adversely impact on people's lives and deny them their human rights. I work with adults with intellectual disabilities (many of whom have Down Syndrome) and every day I'm having to fight against laws and systems that force them to live as second class citizens. It's a lonely enough fight, as most people honestly believe that it is okay to treat grown adults as eternal little children, or that people with disabilities should be grateful for whatever charity they are given. Now Pro-Life supporters are using images of people, mostly children, who have Down Syndrome in their campaign to deny women autonomy over their bodies. How many of these people have given informed consent for their image to be used in such a campaign? I sincerely doubt that anyone who has ever had to suffer the injustices that people who have Down Syndrome have had to suffer in this country, would ever want to deny a woman of her right to bodily autonomy. There are many people actively working on building a society whereby everyone (regardless of ability) is accepted and their rights are upheld, and I am one of them. And I'm proudly Pro-Choice. This notion that you have to be one or the other is complete nonsense. We have enough love and compassion within each of us to understand that we can build a society whereby people of all abilities are respected, and that the same society can respect a woman's right to choose what happens to her body. We can respect both. We don't have to choose one or the other. The idea being spun that everyone who receives a diagnosis of Down Syndrome would automatically choose to have an abortion is hugely insulting to people who have Down Syndrome and to their parents and families who know them as more than just "poster images". We see our loved ones as actual people. Stop using stock images of children with Down Syndrome to push the Pro-Life campaign. Is it an attempt to suggest that everyone who is in the DS community supports your cause? We don't. 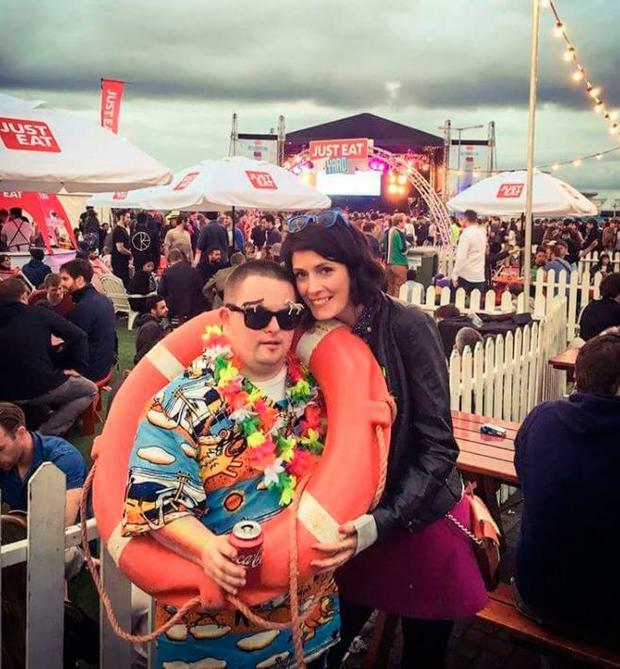 As one father (of a girl who has Down Syndrome) said, she is more likely to see an image of someone with the same condition as her on a Pro-Life campaign 'LoveBoth' poster suggesting she wouldn't be alive if the Eighth were not in place, than to see someone with Down Syndrome on TV or working in a shop. What kind of message is that to be putting out there to people? Some people who have Down Syndrome are Pro-Choice, some people who have Down Syndrome are Pro-Life, some people who have Down Syndrome have no opinion on the Eighth Amendment. Much like in every community. Can we please all be respectful of the fact that people who have Down Syndrome are entitled to form their own views on this?